Several years ago, the home décor retailer now known as At Home was undergoing a massive transformation. Everything required rehabilitation—from employee training and corporate policies to the actual restrooms in stores. Originally founded as Garden Ridge Pottery in 1979, the company had grown swiftly, gone public, and experienced challenges with overexpansion, and it had to go through bankruptcy proceedings in the early 2000s. In 2012, new owners and a new CEO set their sights on reinventing the company to target the $170 billion home furnishings market. The Plano, Texas–based organization is now thriving, thanks to a comprehensive makeover that included gamified microlearning. Although a lot of retailers use learning management systems (LMSs), we were seeking a training solution that would not pull our sales associates off the floor and require them to sit through long courses. Axonify successfully met our needs. With their platform, we’re able to break content into micro-sized chunks. Associates can take three to five minutes of training during every shift. Our associates are consistently exposed to the knowledge they need to do their jobs—without feeling overwhelmed. Plus, the platform’s adaptive algorithm continually closes knowledge gaps by automatically reinforcing the topics that individual associates may require help with. As part of a six-month pilot in July 2014, we implemented Axonify in eight stores. The Axonify team helped pass best practices on to our implementation group. When we were ready for a wider roll-out the following February, we could pretty much handle everything ourselves. Axonify is now the backbone of our entire training process—from onboarding through leadership training. We regularly push out training around safety, customer service, and even compliance issues. Because the platform is a daily experience that takes just minutes, it’s no longer a big ask to have associates use it. 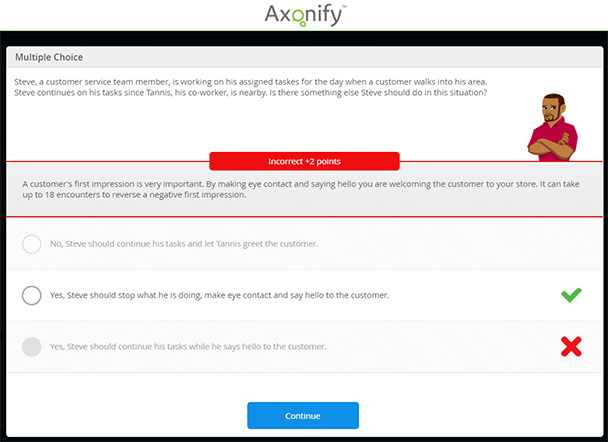 Figure 2: Each learner’s digital Axonify coach provides explanations for both correct and incorrect answers. Even incorrect answers award some points, helping to relieve test anxiety, and emphasize that questions are opportunities for learning. 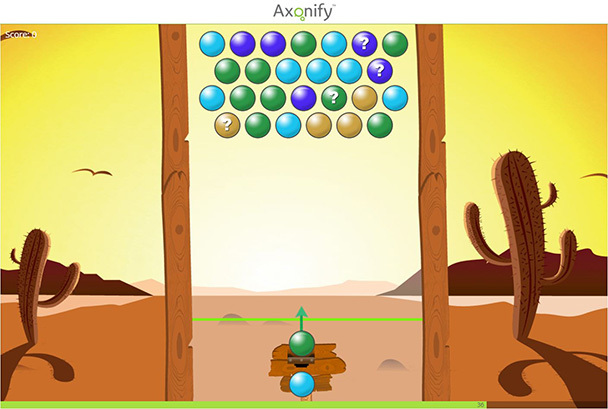 We have found that the gamified elements of the Axonify platform (leaderboards, rewards, etc.) establish intrinsic motivation and drive high participation (Figures 1 and 2). In addition, the platform gives store managers the ability to view knowledge levels for individual employees and learn who might need some extra coaching or mentorship (Figure 3). It’s an unprecedented level of insight that has given our store managers the tools they need to truly support their teams. So far, we’ve identified a 14 percent average increase in employee knowledge for critical safety topics. This has contributed to a 36 percent drop in safety incidents among associates who are active on the platform. We’re now able to train 2,500 associates—with no field support—in four weeks instead of six months. Within two weeks of pushing the annual Payment Card Industry (PCI) compliance training required by almost all retailers, 78 percent of our 3,200 associates had completed the certification—an incredible turnaround rate. Overall, we’ve seen a 90 percent reduction in onboarding time. The platform has completely transformed our onboarding process: Training is no longer a one-and-done deal, but ongoing throughout our associates’ tenure. This means our associates are continually learning and improving, which some store managers claim has contributed to a decrease in turnover. Our associates feel like we are truly investing in them, and they are reciprocating that loyalty. Valerie Davisson joined At Home in 2013 as chief people officer, providing strategic leadership in employee relations, staffing and retention, development, succession planning, compensation, benefits, legal, and regulatory compliance.